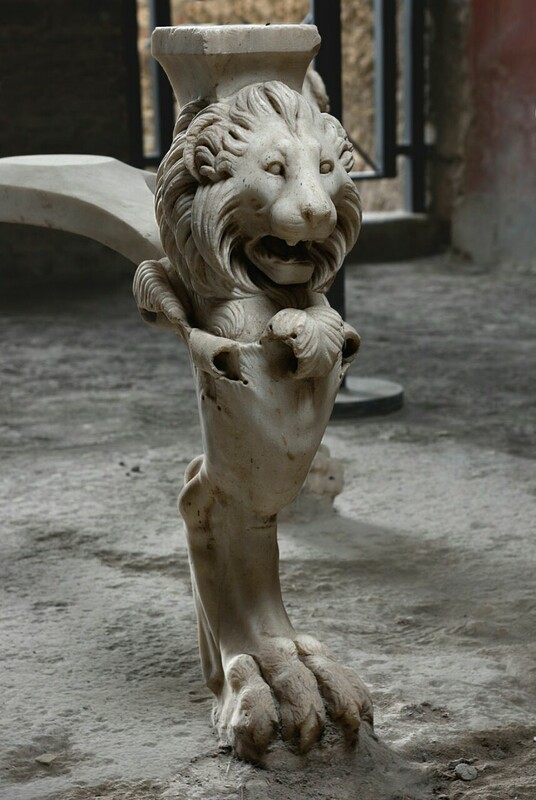 One of the thousands of fascinating objects found in Pompeii was this stone table base. It is inscribed P CASCA LONG on each of the three points where the wooden top would have rested on the base. 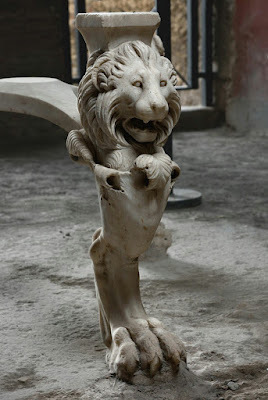 The standard interpretation is that this represents Publius Servilius Casca Longinus, one of the assassins of Julius Caesar and the one who struck the first blow. "See what a rent the envious Casca made," says Shakespeare's Antony. So how did the table of that famous Roman end up in Pompeii 123 years later? After the assassination, Casca and the other assassins fled Rome and joined the "Liberators' Revolt" led by Brutus and Cassius. They lost, defeated by Antony and Octavian, and Casca is thought to have committed suicide after the battle of Philippi in 42 BCE. As an enemy of the state – since the so-called Second Triumvirate held power in Rome – his property would have bee seized and sold at auction. 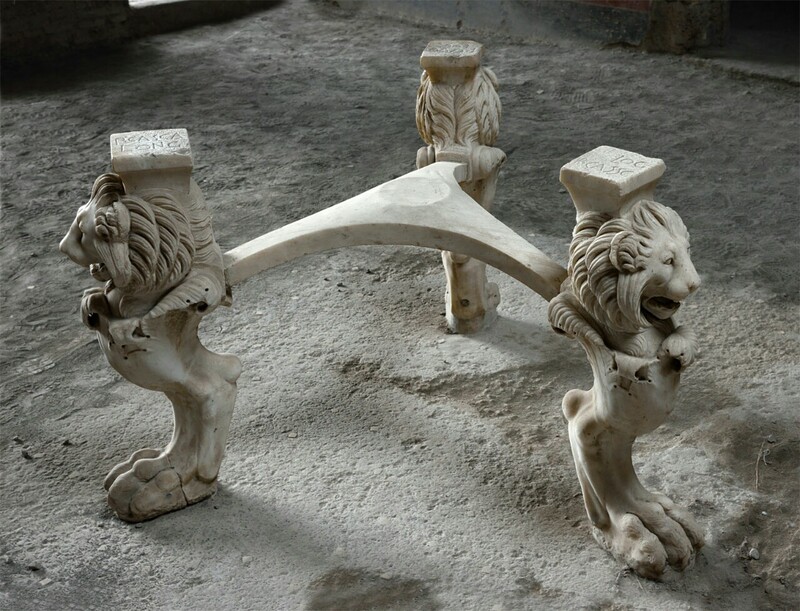 So some Roman likely bought this table at that auction. And then it was passed down through the family or sold to other buyers, bearing the name of Caesar's assassin in a place not usually visible but easy enough to reveal. Was this a sort of silent protest against the imperial regime, or just more of a conversation starter? 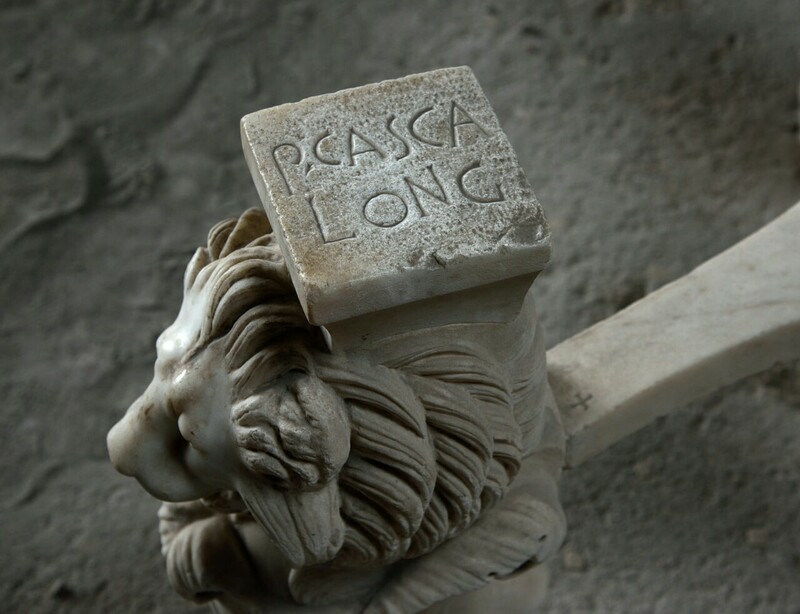 And note that by 79 CE it might have served in that role even if it was actually carved for some other Casca, since more than a century later those more obscure Cascas would have been forgotten and the name would have only meant the assassin. I was just reminded of this theory by Mary Beard, The Fires of Vesuvius (2008), a pretty good popular book on Pompeii.